Trash can enclosures are a convenient, visually appealing way to store your trash cans out of sight. They make taking out the trash less of a chore with an easy-open sliding gate, rather than having to hold open a spring loaded gate as you drag the trashcan out of the backyard. 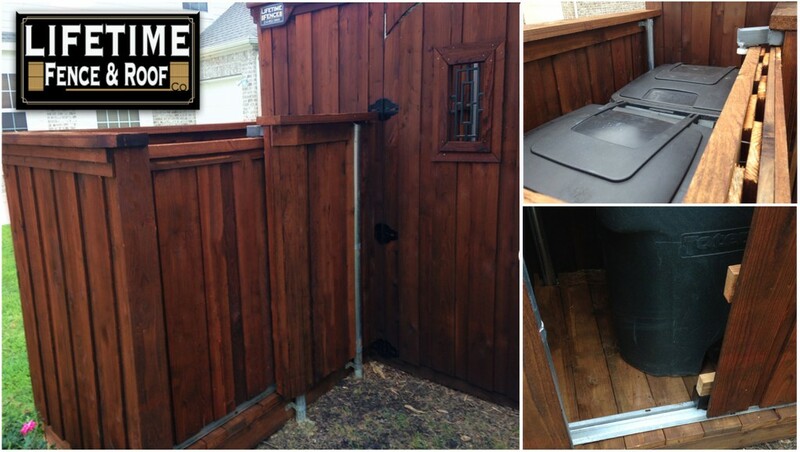 Trash can enclosures can be added to the side, rear or front of your house and still be HOA approved. Covered by our standard Lifetime Warranty! Our pool equipment enclosure fences are shingled, double lined, and water-tight. Having your pool equipment stored inside our pool equipment enclosure will protect and add to the longevity of your pool equipment, while also keeping it out of sight so it doesn’t detract from the beauty of your pool and landscaping. 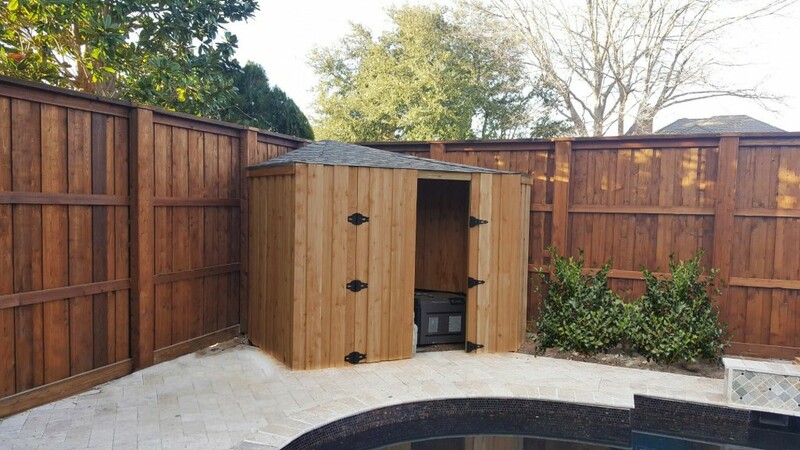 Unlike pre-fabricated sheds that you can buy, our pool equipment enclosure fences can be easily repaired, just like a typical fence by replacing a broken board. Our covered enclosure fences have many other uses besides storing pool equipment such as lawn and garden equipment, pool accessories, and even can be used as a meat smoking closet. Call now or use the form provided to request a quote on our specialty enclosure fences!